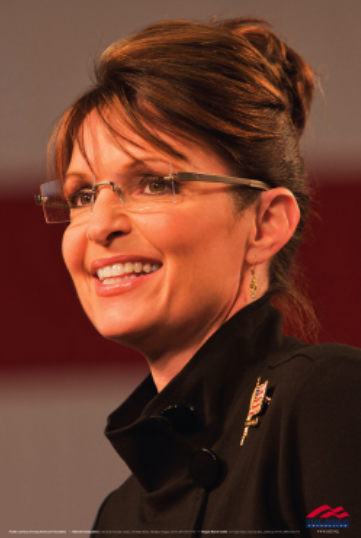 Does Sarah Palin Need a Tutor? Would Richard Wolffe Volunteer for the Job? Lewis was, of course, a master of Christian apologetics and a good friend of J.R.R. Tolkien — they were colleagues at Oxford University — with whom he shared a desire to use literature to as a means of spreading the Christian worldview. Most fans of the Lord of the Rings trilogy are probably unaware that they are absorbing a sort of sermon when they read the tales of Frodo and his comrades, but that’s the point: Tolkien (and Lewis) understood that many people who wouldn’t sit still for a theological lecture would be only too happy to read a well-written adventure tale about elves and dragons and magic. “I’m not putting him down,” Wollfe responded. “But you know divine inspiration? There are things she could’ve said to divine inspiration. Choosing C.S. Lewis is an interesting one.” . . . The discussion occurred as Matthews, Wolffe and Time’s Jay Newton Small on Thursday discussed a recent interview Palin gave with Barbara Walters about her reading habits. The prospective candidate for president in 2012 also said she reads the Newsmax magazine, the Wall Street Journal and Alaska newspapers. Matthews was stunned she admitted to reading Newsmax. “Explain Newsmax,” he said. “Why should she would say something like that? That’s a digest of conservative right wing conservative thinking. You don’t have to read. They just tell you the little items you’re supposed to know.” . . .
What Wolffe and Matthews are doing, of course, is conveying the consensus opinion of the American journalistic elite that Palin is an anti-intellectual imbecile. This consensus, I would argue, is a perception deriving from the vast gulf that separates the lives of the journalistic elite from the lives of Ordinary Americans like Sarah Palin. Let’s look at Palin’s résumé, shall we? Television sportscaster, wife, mother of five, mayor of Wasilla, chairwoman of Alaska Oil and Gas Conservation Commission, governor, 2008 vice-presidential candidate, and so on down to today: Reality TV star, Fox News contributor, bestselling author and — the reason she’s relentlessly mocked by liberals, let’s admit — prospective 2012 presidential candidate. Furthermore, insofar as Governor Palin now engages in political punditry, her chief concern is to address contemporary issues — taxes, foreign policy, etc. — not merely to advance her own views on these issues, but also (again, let’s admit) to establish her conservative bona fides preparatory to that prospective 2012 presidential campaign. All of which is to say this: There may indeed be gaps in Governor Palin’s knowledge that, if we wish our political leaders to be Platonic philosopher-kings, ought to be filled in by a process of remedial reading. She might begin such a process, I suggest, by studying Friedrich Hayek’s 1949 essay, “The Intellecutals and Socialism,” which I consider a definitive discussion of the nature of the intelligentsia and their role in politics. But the mockery of Matthews and Wolffe — “And MSNBC wonders why no one takes them seriously,” says Obi’s Sister — misses a very important point: Americans don’t elect philosopher-kings, we elect presidents. The desire of intellectuals to have one of their own in the White House is a very old theme in American history, and usually this desire is frustrated by the voters. Thank God. The well-educated and erudite John Quincy Adams was a flat failure as president, while the non-intellectual Andrew Jackson was far more successful. For that matter, the presidency of James Madison (co-author of the Federalist Papers) wasn’t exactly a triumph of policy, considering that the British army captured and destroyed the capitol city during the War of 1812. Woodrow Wilson was, by all lights, the most widely-recognized intellectual ever to occupy the White House. QED. If it is the opinion of the intelligentsia (and applying that word to Chris Matthews is kind of a stretch) that Sarah Palin is in need of remedial tutoring . . .
Well, I’m available, OK? But I don’t think Palin’s critics really want that. If we are to have a Philosopher-Queen in the White House, it’s a question of whose philosophy enjoys the royal patronage. Richard Wolffe knows his own liberal philosophy would be rejected by Queen Sarah, and so he’ll just keep mocking.